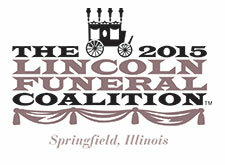 Central Illinois was once the stomping ground of President Lincoln.Check out our blog! Relive his remarkable legacy as you explore everything from his Springfield home and law office to the Abraham Lincoln Presidential Library and Museum. Journey along a historic stretch of Route 66 dotted with roadside attractions such as the Bunyons Statue and amazing museums like the Pontiac-Oakland Automobile Museum. Lakes, water parks, architecture, Amish Country, outlet shopping… the Land of Lincoln has it all. Click on the map to view our region. If you are looking for the best roofers Lincoln has Contact Nelson Contracting LLC!